Most schools teach math and natural science throughout elementary and middle school, but not computer science. High school is seen as the time when kids can be first exposed to computer science. However, once kids are in high school, their brains are largely developed and much less pliable than when they were younger. Computer science requires a different type of thinking, and trying to alter the way students think once they’re sixteen or seventeen years olds may prove difficult. Questions sometimes arise as to how computer science can be taught in K-8 schools because some concepts are quite advanced. But schools can break down computer science into easier fundamentals the same way they do with math and science. 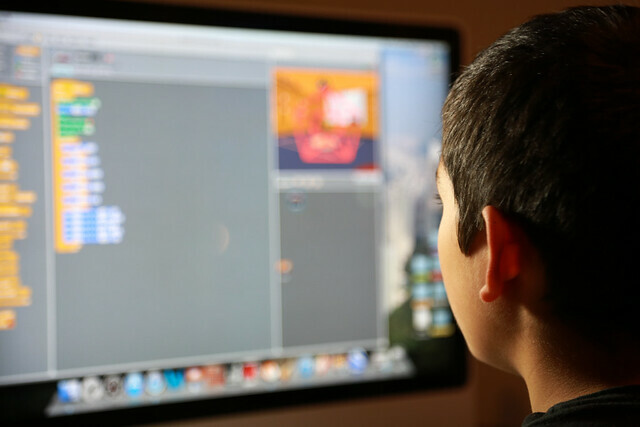 Technologies like Alice and Scratch allow kids to grasp simple ideas of computer science early on. Learning computer science in K-8 education improves students’ education overall. Computer science teaches kids how to solve problems and demands that they think in non-linear, creative ways. This sort of thinking helps in any subject and is required to answer the questions that challenge the world today. Additionally, computer science projects are conducive to collaborative skills. Computer Science Teacher Association (CSTA) Board Member Patrice Gans says, “The give-and-take common in collaborative work around a complex project involves more than just one-way communication of ideas; it requires focused listening, reforming ideas, and more.” Such skills are useful with all types of projects and are necessary in many occupations. Additionally, early exposure to computer science may motivate more kids to pursue a related field as they grow older. We teach kids other subjects when they are young, and they pursue these fields when they are adults. But, for many students, it is hard to think of computer science as a career when they first begin studying it in high school. With an earlier focus on computer science, more people will likely enter the workforce to address the challenges of the 21st century. Kids want to learn computer science; they just need the opportunities to realize their potential. Educators should not treat computer science differently from math, biology, chemistry, or physics. We must empower our students to ensure that technology does not get the best of humans but instead that humans get the best of technology.